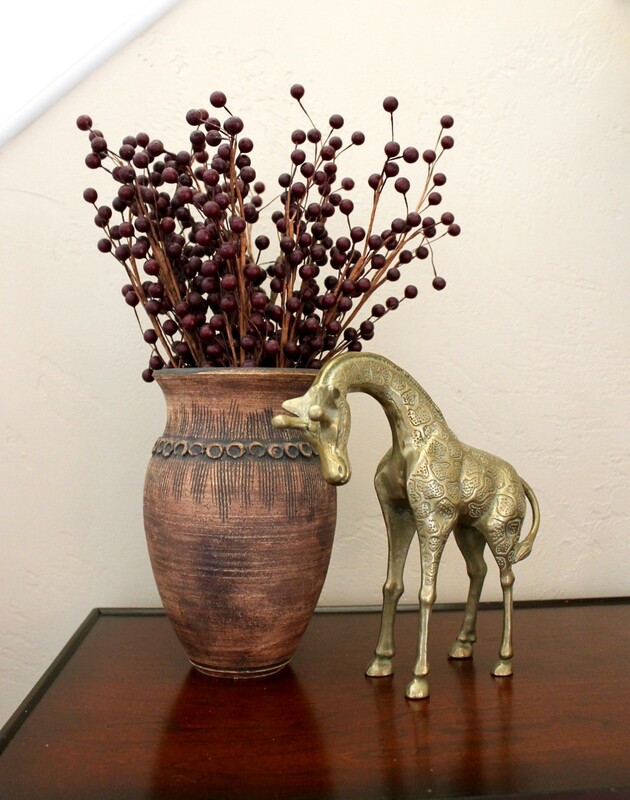 This guide covers everything you need to know about the art of foyer table decorating. When it comes to decorating your home, there are so many facets, and each room should be designed with a specific purpose in mind. Some rooms are obvious: The living room is for entertaining, the bedroom is for sleeping and relaxing, and the kitchen is for eating. And each room has décor that supports those roles. However, certain rooms and their décor aren’t quite as intuitive. 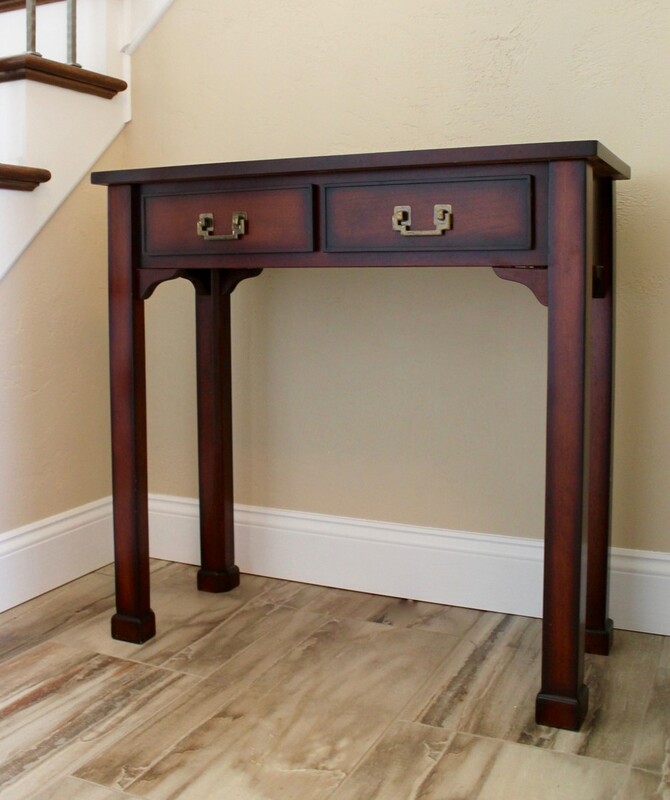 When homeowners are searching for end tables and consoles for their living rooms and bedrooms online, they often end up stumbling upon the term “foyer table,” which begs these questions: What is a foyer table called? Is it an end table? Is it a buffet table? Those are good questions. So… What exactly is a foyer table? First, it helps to know what a ‘foyer’ is. 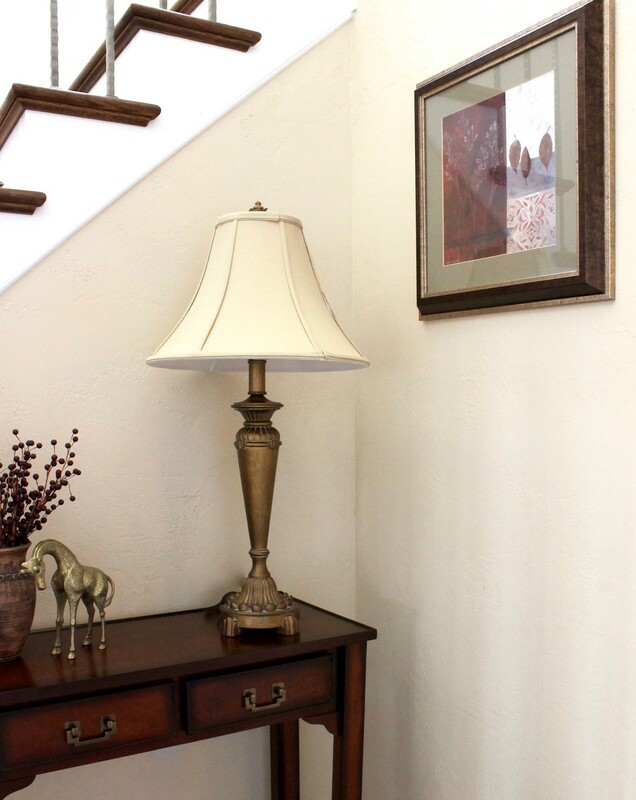 A foyer is an entryway to a home that’s located right inside the front door. 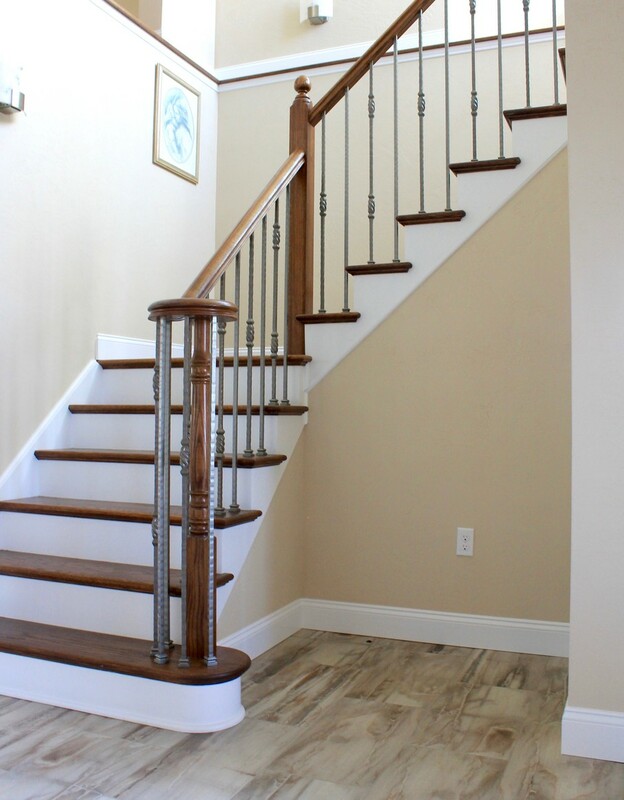 Depending on the blueprint, a foyer can be long and narrow like a hallway, or wide and open with multiple entrances to surrounding rooms. 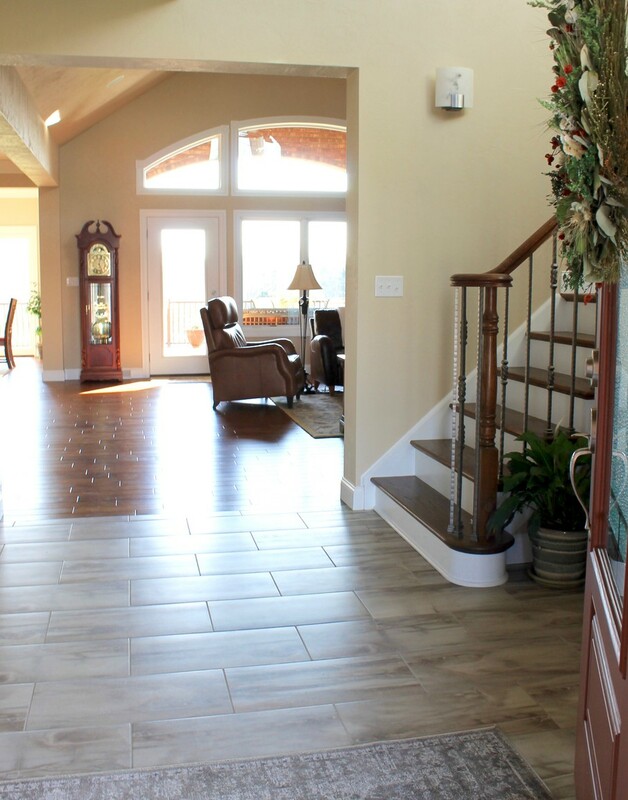 The foyer is the first thing that someone sees when they walk into a home. If you put a table in this entryway (the “foyer”), it’s also known as an entryway table (which makes more sense). Now that we’ve established a precise definition, here’s why you should have one of these unique pieces of furniture in your home and three tips for how to implement it into your existing décor. 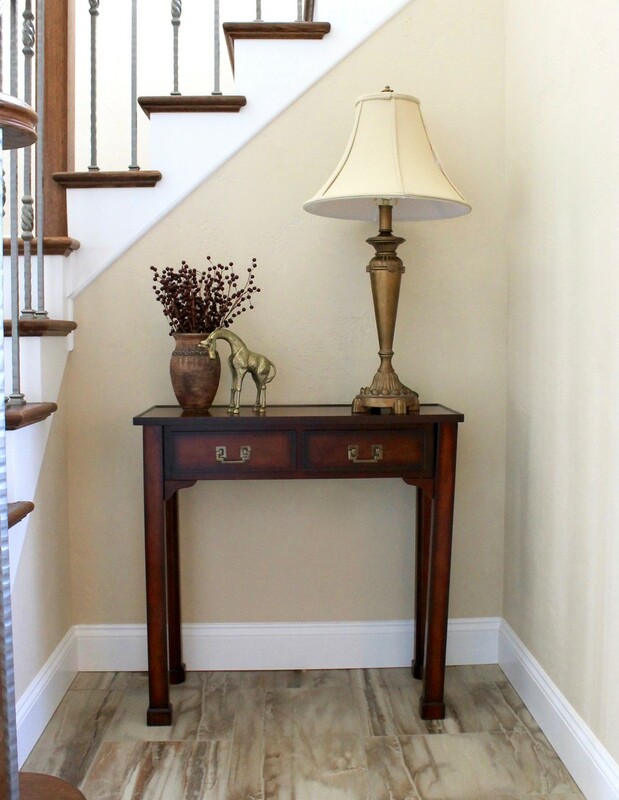 When it comes to foyer tables, the most commonly asked questions from homeowners are, “What size should a foyer table be and where should I put it?” Before those questions are answered, it’s important to understand why a foyer table plays an important role in the home. The #1 rule in interior design is to assign a purpose for every room and then decorate accordingly to support the function of the room. If there’s an empty corner or wall in your foyer, this can serve as the perfect spot for your foyer table. When your dinner party guests walk across the threshold through your front door, they need a well-lit area to see where they’re going and they also need a place to put their personal belongings, such as keys, sunglasses, wallets, and handbags. In addition to serving as a drop-off station for house guests, a foyer table can add warmth and elegance to sophisticated décor, and set the tone for the rest of your home’s design style. The table should be approximately 2 ½ to 3 feet high (so that it’s about level with a person’s hand at their side). The width can be anywhere from 2 feet to 5 feet depending on the size of the wall or empty space. 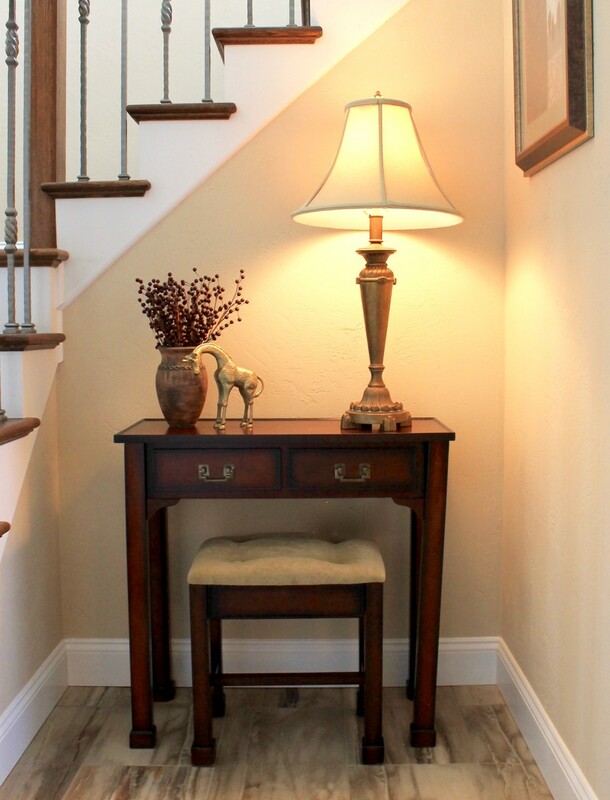 This table is about 30 inches high and 30 inches wide, and fits perfectly in this small alcove next to the staircase. Pro Tip: When it comes to choosing the right table height for each room in your home (dining room tables, coffee tables, end tables, etc. ), it’s usually best to stay within the standard ranges, as they’re universal and work well for each specific purpose. 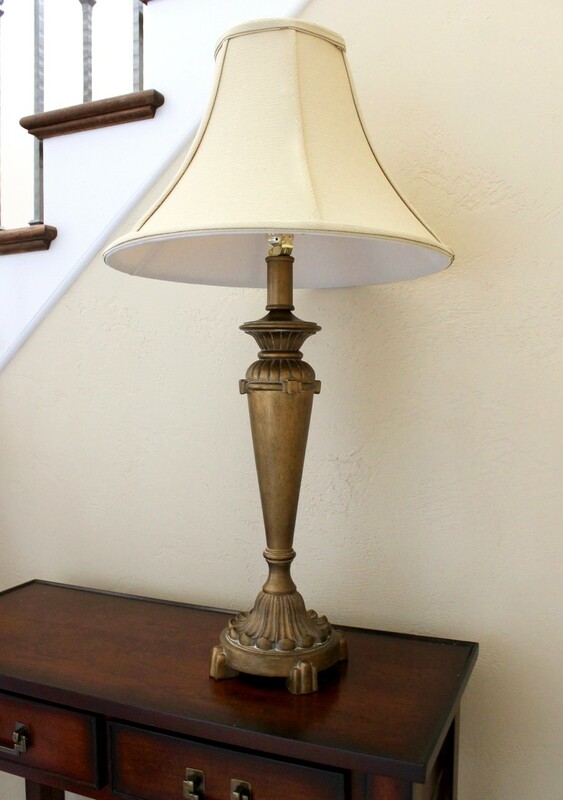 To create a polished look, choose a table lamp that’s sleek and ornate to bring visual interest to the space. This is especially important if you have solid-colored walls, as a distinct-looking lamp provides a striking contrast against the beige walls. To fill up the space, this lamp stands 2 ½ feet tall, which works well since there aren’t any decorative items or wall art above the table. The height and width of your lamp will be determined depending on the space, so if need be, dust off that measuring tape to ensure a good fit. When trying to figure out how to decorate a foyer table, it’s important to establish your home’s design style, and decorate accordingly. If you have a traditional home, traditional décor pieces should be implemented, and if you have a modern home, décor pieces that have a contemporary look will create a cohesive overall style. Find decorative elements that complement the rest of your home, and make sure that you don’t overdo it. Since the table is somewhat small, to can be tempting to try to fill it up as much as possible, but when it comes to foyer table décor (or any décor for that matter), less is more. As you can see, there are only two other items in addition to the lamp, which provides a clean look, as well as space for your guests’ belongings. Since the adjacent wall is empty, a small framed print brings additional color and texture to the recessed area. 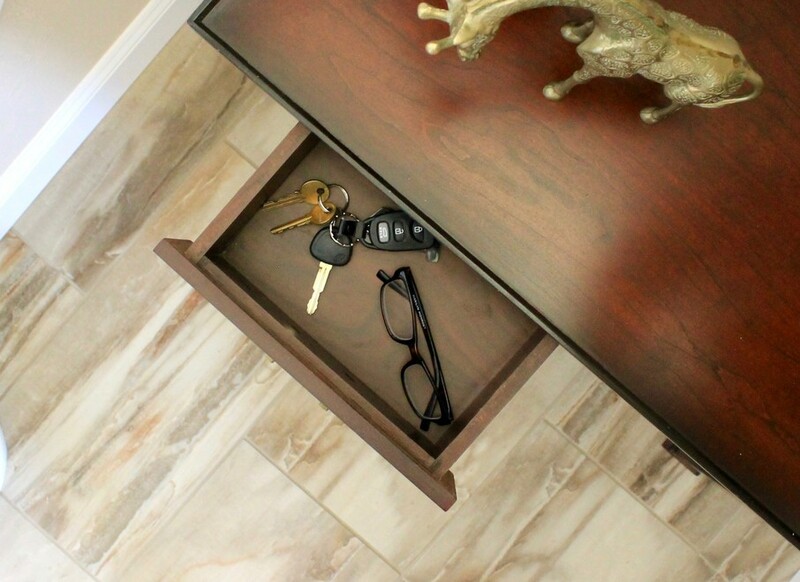 If you need additional space for your guests’ wallets and keys, find an entryway table with storage. This particular table has two drawers, which provide plenty of room for smaller personal items. It’s also a great place to store spare house keys, flashlights, and other odds-and-ends that you might need to access quickly. Looking for a way to add more visual interest? Add a small, cushioned bench underneath the table. It’ll give fill up the bare space below the table, and add the right amount of charm for this cozy space! Foyer tables are essential for every home’s entryway, and create an inviting atmosphere for anyone who enters your humble abode. It’s a foundation that provides soft, warm light and an easily accessible place for your guests’ personal items while setting a sophisticated and welcoming tone. It’s amazing what a difference a small, modest table can make!